Economists subscribe to many often contradictory schools of thought. This results in businesses and governments adopting economic policies whose consequences are neither agreed upon nor understood. Furthermore, because the economy is actually a complex adaptive system most traditional economic models are unable to predict the full snowball effect of their actions. This was made painfully clear during the 2008 Financial Crisis. This challenge is not unique to the economy. Many complex adaptive systems including our brains, nervous systems, the internet, the stock market, and even busy intersections are near impossible to predict. The reasons for this are manifold but the primary reason is that complex systems like the economy are highly sensitive to changes which compound to cause financial crisis. This called the butterfly effect. The real problem however is that economic decisions affect the lives and welfare of the seven billion people living on this planet directly. In an attempt to address this problem computational techniques can be used to help model and predict, but not necessarily understand, complex adaptive systems. One popular technique involves the use of neural networks and another relies on simulation techniques such as agent-based modelling. 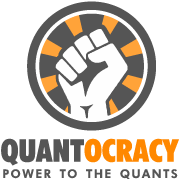 In this post I outline agent-based computational economic models and discuss their potential benefits. In a follow-up post I will elaborate on their implementation and the role of computational intelligence. Classical economics uses simplifying assumptions to build economic models that are used to predict how the economy will respond to change. The most controversial simplifying assumption is the rational expectations hypothesis. This is the idea that agents (people and institutions) make choices based on their rational outlook, available information, and past experiences. Economic models that use this assumption assume that agents act rationally, despite the fact that many research studies have shown that they do not. The first noteworthy academic to investigate alternatives was Herbert Alexander Simon. Herbert Simon was an American political scientist, economist, sociologist, psychologist, and professor. He is well known for his research in cognitive psychology, cognitive science, computer science, and economics. 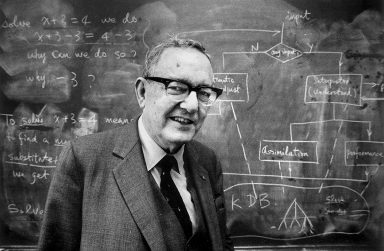 With almost a thousand very highly-cited publications, he was one of the most influential social scientists of the twentieth century and one of the founding fathers of artificial intelligence. Two contributions of Herbert Simon to economics which have become central to agent-based computational economic models are bounded rationality and satisficing behaviour. Bounded rationality is the idea that agents make decisions on the information they have currently available within the constraints of their cognitive abilities and the amount of time they have. This idea is expanded upon to include the idea of satisficing behaviour which proposes that agents seek a satisfactory decision rather than the optimal one. Put simply, the rationality of agents is limited by circumstance and situation. Whilst these concepts offer a more realistic alternative to the rational expectations hypothesis they make the creation of economic models significantly more complex because we have removed the simplifying assumption of agent rationality. I suspect that this is the reason for Herbert Simon's interest in computer science. Advances in computational intelligence, the sub-discipline of artificial intelligence inspired by nature, provides a means by which economic models, founded on the theories of bounded rationality and satisficing behaviour, can be created. Microeconomics studies the behaviour of individual agents in making decisions whereas macroeconomics studies the economy as a whole. The problem with this arrangement is that the two have evolved independently of one another and can contradict at times. In particular, commonly held macroeconomic theories are not supported by sound microeconomic principles. Furthermore, macroeconomics uses historically observed aggregate information about the economy to predict the impact of policy change irrespective of whether that policy change has an impact on micro-economies. In which case that historical information would no longer be relevant and long-standing correlations may break down. This approach tries to model the economy from the top down. As such, economists generally agree that macroeconomics is in need of strong supporting microfoundations. The above approach can be realized by defining intelligent software agents, simulating their interactions with one another and the market, and then observing the emergent macroeconomic effects. This is the idea behind agent-based computational economic models which try to model the economy from the bottom up. One particularly good example of this was the Santa Fe Institute Stock Market which used genetic algorithms to define intelligent trading agents; these agents were allowed to interact with one another through the artificial market, and the price of the artificial securities was determined through supply and demand. The emergent security prices resembled the actual markets more closely than when using stochastic processes to model market returns. In the context of economics, an intelligent agent is a software defined representation of an economic decision maker. Intelligent agents can be defined to represent anything but common examples include buyers, sellers, households, businesses, governments, regulators, and banks. Because intelligent agents are required to make decisions, they contain artificial intelligence which allows them to observe their environment and make sufficient decisions. This intelligence is normally goal directed meaning that each agent has one or more goals that they strive toward e.g. making money or avoiding taxes. Intelligent agents are generally autonomous allowing them to make decisions independently of one another. A concept key to economic modelling is that the intelligent agents make decisions based on their environments and those decisions, in turn, affect the environment. This feedback loop makes the intelligent agents reflexive. Economic reflexivity is an idea made popular by the legendary investor and trader, George Soros. This idea refers to self-reinforcing effects of market sentiment, whereby rising prices attract buyers whose actions drive prices higher still, until the process becomes unsustainable; at which point the same process reverses leading to catastrophic collapses in prices. In artificial intelligence we refer to such phenomena as emergence. 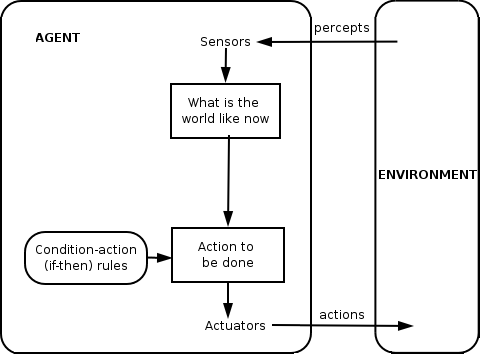 This diagram illustrates the feedback loop that makes intelligent agents reflexive. * Note that the condition-action (if-then) rules is merely one primitive type of artificial intelligence. At this point I feel the need to discuss what I believe are two positive directions taken by the field of economics namely behavioural and evolutionary economics. Behavioural economics studies the effect of social, cognitive, and emotional factors on the bounds of rationality achieved by decision making agents. Behavioural models integrate microeconomic principles with psychology and are used to describe the sometimes irrational behaviour of agents under varying situations and circumstances. Using this to define intelligent agents is an area of active research. Evolutionary economics is concerned with the dynamic and progressive nature of economic agents. It draws inspiration from sociology, evolutionary biology, and anthropology. 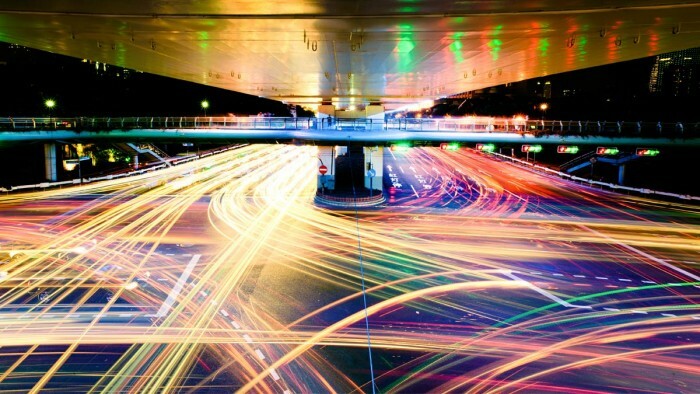 Allowing software defined intelligent agents to evolve their decision making strategies and adapt to dynamic environments is also an area of active research. The pre-requisite to creating successful agent-based computational economic models is the creation of good software defined intelligent agents. These intelligent agents should codify the bounded rationality, satisficing behaviour, and dynamic nature of real-world economic agents. I can, without a doubt, assure you that this is no easy feat. Personally speaking, I believe that artificial intelligence is not yet mature enough to achieve this goal in its entirety. That said, no model is without its flaws and artificial intelligence is probably good enough. Artificial intelligence includes both symbolic and nature-inspired approaches. Traditional techniques include expert systems, propositional logic, and mathematical optimization. Nature-inspired techniques are collectively referred to as computational intelligence and include fuzzy logic systems, neural networks, evolutionary computation, and swarm intelligence. In a follow-up article I will discuss each technique as I elaborate on the implementation of agent-based computational economic models. 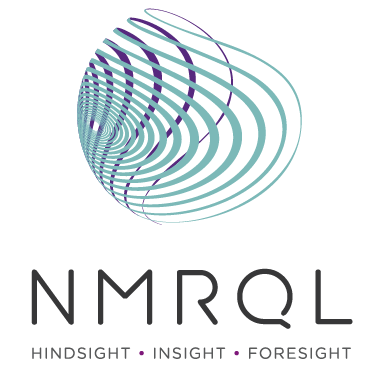 The focus will be on codifying bounded rationality and satisficing behaviour in intelligent agents using computational intelligence. Agent-based models simulate the emergent characteristics of complex adaptive systems. This is achieved by simulating the actions and interactions of agents participating in the system. In the context of economics, a virtual economy is created and populated with instantiations of software-defined intelligent agents. These agents are then allowed to freely and randomly interact with one another in the interests of maximizing their own goals. Such models are referred to as agent-based computational economic models. I believe that these models occupy a unique position in the crossroads between cognitive psychology, computational intelligence, and mainstream economics. Furthermore, because these models do not rely upon aggregated historically observed trends, they could be used to understand the consequences of economic policies set by governments and businesses. 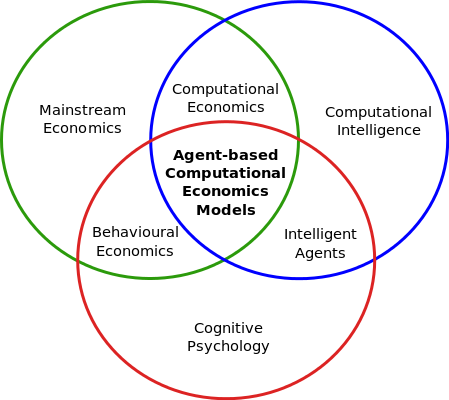 Agent based computational economic models occupy a unique position in the crossroads of cognitive psychology, computational intelligence, and mainstream economics. Economic decisions made by both governments and businesses affect the lives and welfare of the seven billion people living on earth. Yet despite this very real relationship to the world we live in, economic decisions are still made using models which employ simplifying assumptions such as rationality. These assumptions serve to reduce the complexity of the economy, a complex adaptive system by nature, to fit within the cognitive faculties of mankind. Agent-based computational economic models offer an exciting alternative to this flawed approach, but lack the maturity and widespread adoption of classical techniques. However, in recent years interest in these models has been on the rise especially in the wake of the global financial crisis.